PayJunction is a US-based merchant account with an attractive "interchange plus" pricing schedule, using the actual credit card percentage charged by Visa, Mastercard, etc. plus .75%. If you have less than $10,000 per month in transactions a $35 monthly fee also applies. PayJunction is well suited to the ONTRAPORT client with both physical and on-line sales processes, as they also integrate with popular POS systems. See their Pricing Page for a comparison to other popular gateways. Setup and integration is extremely easy and requires just a few steps! Log into your PayJunction account. Click the More icon in the left menu bar, then the Settings Overview link. 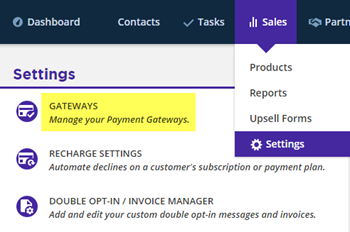 Click the Gateway menu item, then the Gateway Overview link. 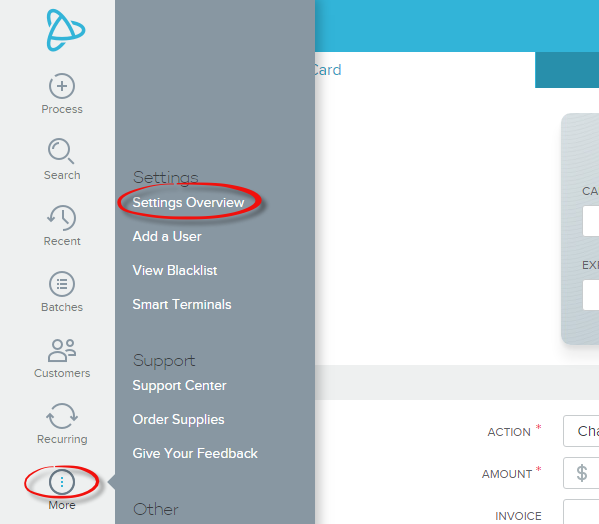 Scroll down to Option #2 - Quicklink: Advanced API Connection section. You should see an entry with your PayJunction logon name. Click the Security link on that line. In order to enable payment plans, subscriptions, upsell offers and free trial periods in ONTRAPORT, you must set AVS and CVV/CVC2 to Off. Remember to click Save. Click the Gateway > Gateway Overview link again. Under Option #2 - Quicklink: Advanced API Connection copy the API Login value to a text file for use in ONTRAPORT later. Log into ONTRAPORT, click the Sales collection and then Settings. Click the Gateways link. 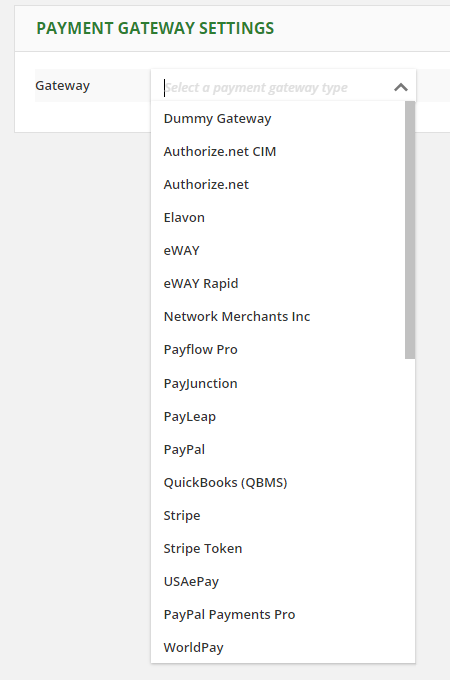 Name the new gateway and select PayJunction from the drop down box. Paste the API Login you copied to a text file in step 6 in the Configuring PayJunction section into the dc_logon box. Type your PayJunction password into the dc_password section. Test Mode uses the credit card number 4111111111111111 (a four with 15 ones after it) and any CVC number. Remember to restore the PayJunction gateway to active mode. Live transaction testing can be done with a product of $1 or more. Q. Does PayJunction charge in currencies other than the US dollar? A. No. As of January, 2016, PayJunction bills in US dollars only. Q. How long does PayJunction hold the funds? A. According to their website , they deposit funds within 1 business day.